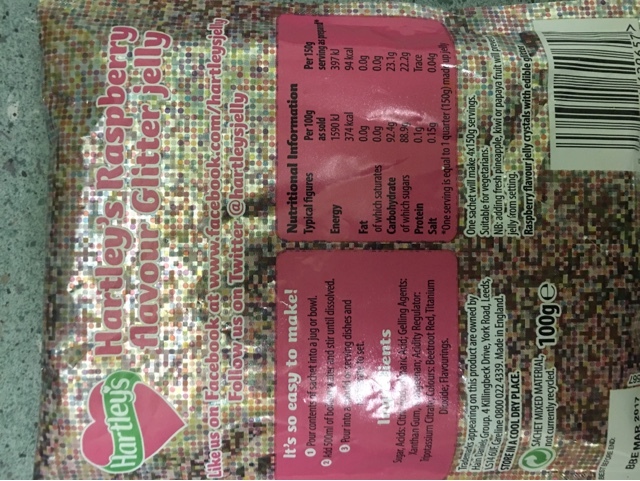 Edible glitter is one of those strange things that shouldn't be anywhere near as appealing as it is. 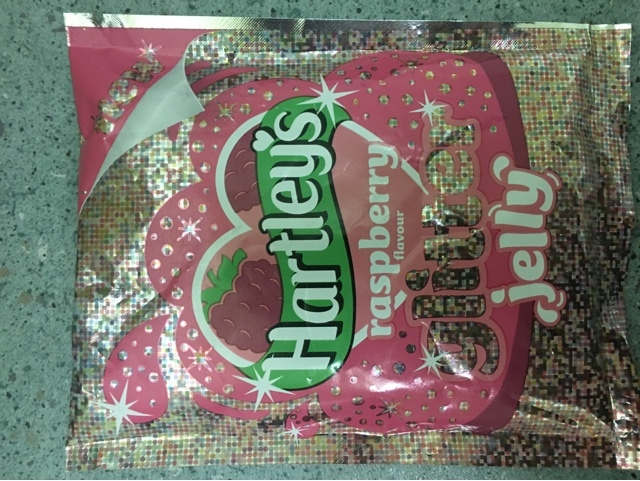 Today we have a great example in this sachet of Hartley's raspberry flavour glitter jelly. 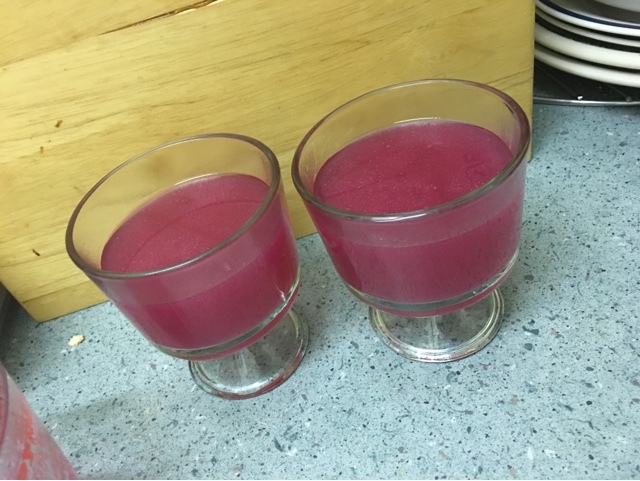 Jelly has become a lot less time consuming than I remember it being as a kid. All that staring and waiting for the cubes to dissolve has been replaced by a powder that you can just pour boiling water into and serve! It even sets outside of the fridge. 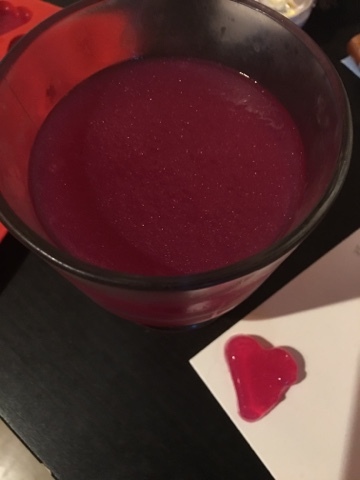 The ingredients of course are sugar, things to make it solid, things to make it look and taste red, and this time glitter (which I presume is the titanium dioxide). 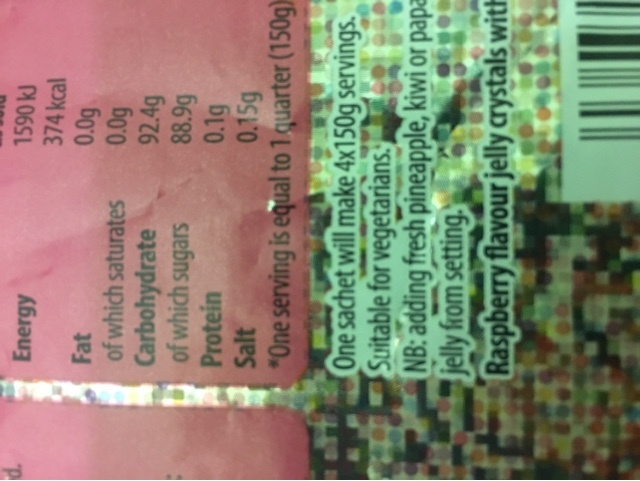 Also it has that fantastical feature that regular jelly never had - it's Vegetarian! It also apparently makes four servings. I'm going to assume it means children's portions. Here we see the melting process, it happened so fast that you can't see the trails of the jelly melting! 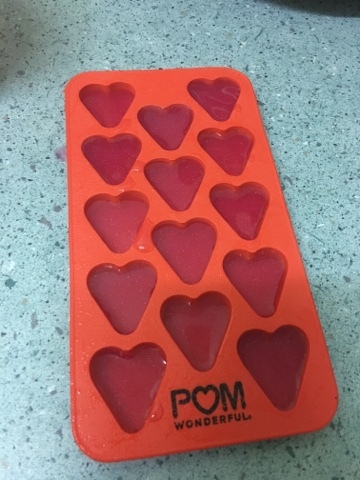 The heart didn't come out perfectly (the bottoms didn't seem to be set perfectly despite being in the fridge - they are now in the freezer for drinks). The main dish is a lovely deep red colour and sparkles much more than in the picture. This is really ideal for Christmassy things - and I think you could even give sachets of this as small presents (secret santa or stocking top ups) and people wouldn't be upset. I'll stick to making and serving it as a one-off treat desert I think, but it certainly does look the part. 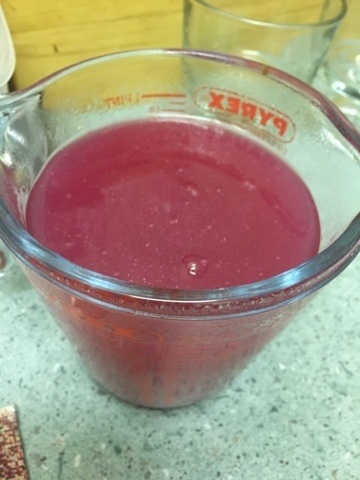 And it tastes just like raspberry jelly should - of raspberries!